3154 - Photo: Nigel Petre Collection. 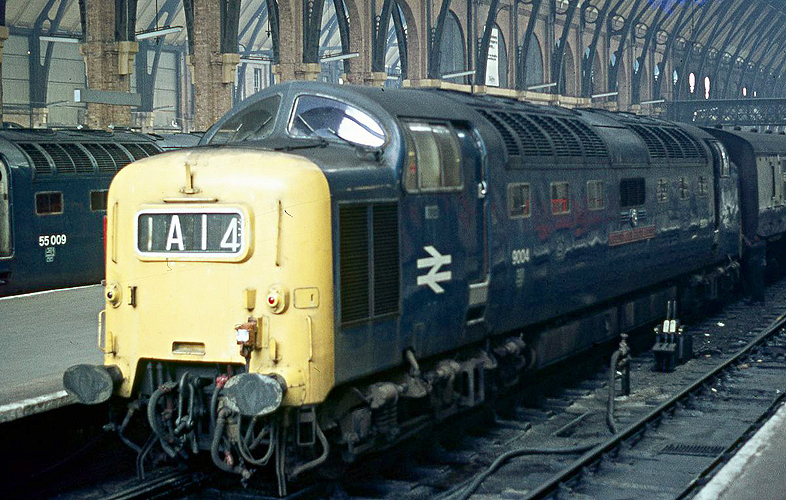 9004 "QUEEN'S OWN HIGHLANDER" after arrival at King's Cross on the 23rd March 1974 with the 1A14 08:53 service from Bradford. A re-numbered 55009 (D9009) "ALYCIDON" is the shape of things to come on the adjacent platform.